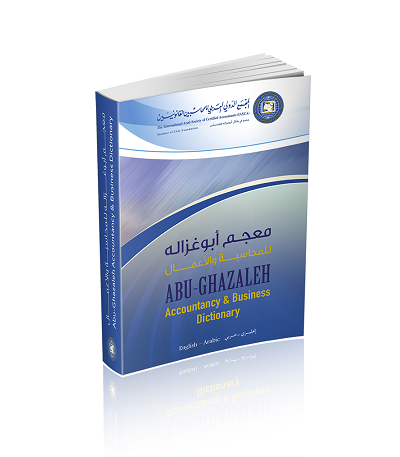 AMMAN - HE Dr. Talal Abu-Ghazaleh, Chairman of International Arab Society of Certified Accountants (IASCA), announced the launch of the third English-Arabic edition of Talal Abu-Ghazaleh Accountancy & Business Dictionary, with new updates. Dr. Abu-Ghazaleh affirmed that this dictionary is a comprehensive publication that meets the needs of professionals, including accountants, auditors, bankers and all those who work in the field of economy and business. In addition, it is considered to be an important reference for university students in an era of rapid developments on all levels of science, knowledge and technology, he added. The new dictionary comprises over 12000 terms relating to accounting and auditing, covering International Accounting Standards, International Auditing Standards, Code of Conduct, finance, investment, banking, insurance and taxes. It is worth mentioning that the Arabic certified references of International Accounting Standards, International Auditing Standards and International Accounting Standards in the Public Sector, represent the translated versions into Arabic by IASCA, approved by international agencies that set these standards. The dictionary is now available in hard copy, with a soft copy soon to be issued, for easy access and to keep up with technology advancements. It is noteworthy that the International Arab Society of Certified Accountants (IASCA) was established in 1984 as a non-profit professional accounting association in London, UK. It was formally registered in Amman on February 24, 1994, aiming at advancing the profession of accounting, auditing and other related disciplines in the countries of the Arab League. IASCA also aims at maintaining the professional independence of Arab accountants and their protection, as well as the application of professional supervisory measures.